In India we always celebrate DIWALI every year. DIWALI is the festival of light. It is celebrated all over the India and world. I wish all readers to celebrate diwali safely. :- Celebrate DIWALI carefully with clay deeps because it bill save your electricity,. :- Fire crackers in low amount because we need to clean our environment. :- Don't wear silky clothes. 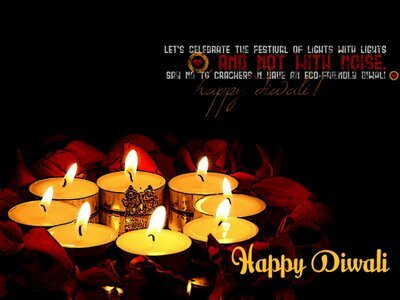 Wish u happy DIWALI to you and your family. Note:- if you have some important articles and information to share.